Settings for MS Entourage can slightly differ for versions 2004 and 2008. The following description matches the MS Entourage 2008 configuration. In the Tools menu, select Accounts. 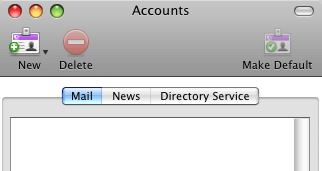 This opens the account management dialog. In this dialog, click on New. In the new account wizard just opened, click on Configure Account Manually and in the menu select the Exchange account type. Account name : The name of the email account. Name : Any name (the first name and last name of the user is recommended) that will be displayed in the message header. E-mail address : The email address of the user. 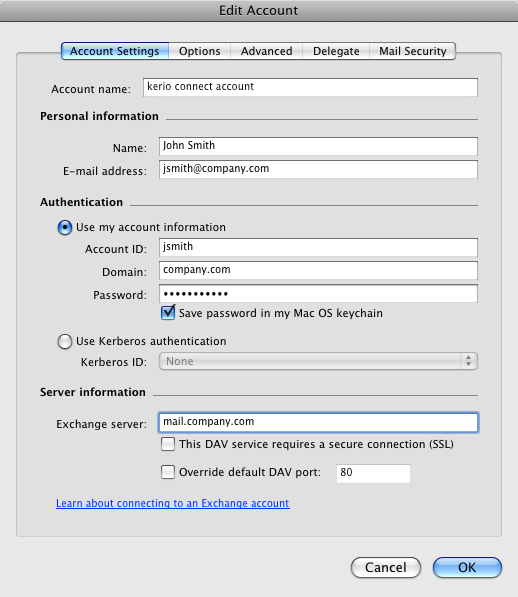 Account ID : Username used for login to Kerio Connect. 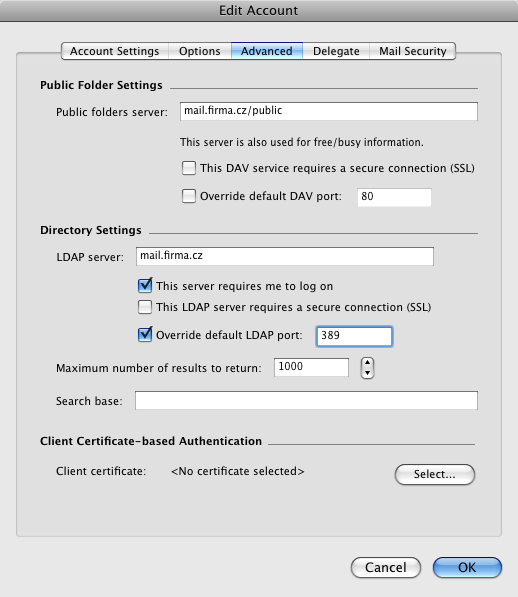 The username is specified as user without the at sign and domain. Domain : Name of the email domain where the user has an account.